Law is a subject which is studied normally to protect the human rights in the world in different fields and manners. This is the most respectable profession like few others and the world stands on it in different ways. Law profession covers many areas of study like Business laws Criminal laws land laws entertainment laws etc etc. Every country has its own laws according to their traditional and cultural environments and level of crimes or rights in different aspects of human life. If you choose law profession for your career and you become a professional lawyer than you have great opportunities in your career and there is no end for your progress in practical life. Law education is taught at Law colleges universities and law faculties in every country of the world. Law education in Belarus is of world standard as you study the international law in Belarus and your degree is recognized everywhere in the world. You may study any area of law education in Belarus and for international students international law course is taught in English medium of instructions but it does not mean that No English speaking applicants will not be able to study law at Belarus universities.For students from Arab and Asian countries where English is not a native language we have preparatory course for Russian language first year and after this foundation course they join their international law degree program. Law is taught at bachelor(LLB) and Masters level(LLM). Its a bachelor degree and after this degree make you become a lawyer and may practice personally or at any chamber or organization. Its 4 years degree program in English medium of instructions in Belarus for international students. 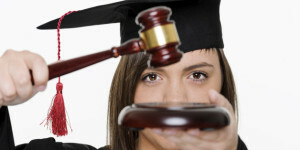 Its Master degree in law followed by the bachelor degree which opens success door for you in the career in a broad way. Masters degree in Law in Belarus is taught for 1 year in English medium of instructions. It adds more value to your life and career so in case after bachelor degree you do not stop and admit for Masters program in Belarus than its the right decision. Law is a huge educational field where you may choose your desired area of study in the field of law. It all depends that which branch of law study interests you well and you must choose that only because its much sensitive profession and the fate of client depends on you no matter which case you will handle and in which law area. Lawyers become Judges solicitors barristers and these are most respectable personalities in the society just like doctors. So its now time to decide the right career path for you but decision is always yours that which skies you want to fly. So in case you are a law applicant than may write us today for a quick admission at Belarus university for 2018 intake.You application will be processed very fast. Interested applicants may contact us through following details.